Survival mode that's where I'm at. But, luckily I have women of strength all around me. I'm lucky that way. I belong to a tribe that no matter comes their way, they succeed, they rise above whatever circumstance tried to break them. 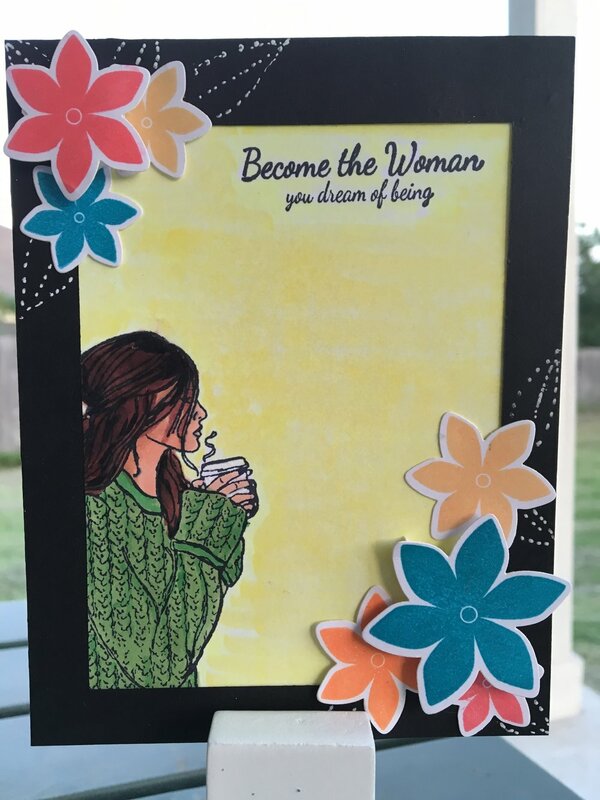 This card series is an ode to my fellow Amazons. My tribal warrior princesses that give me strength and determination daily whether through their triumphs or trials. I see greatness in them and love them all. Unknown to me, the last 3 months would be difficult. My husband had 3 retinal detachments. I was no longer a partner in this familial relationship. He needed me, to do it all. You see, in 17 years, he has spoiled me. He has been my rock, my friend, but also my helper in all things. I suddenly had to do it all. I realized how much he actually did in our home and for our family. I learned his strengths during this process. I also learned how strong he was, and how humble he was in our marriage. I'm grateful the worst is over. But, I learned a lot about strength and those who strengthen us. These cards are for a few friends, to thank them for standing strong. I hope you enjoy them. Thank you for stopping by, you can find me on Instagram, Twitter and Facebook as Iheartscraps and message me there. Make it crafty my friends!